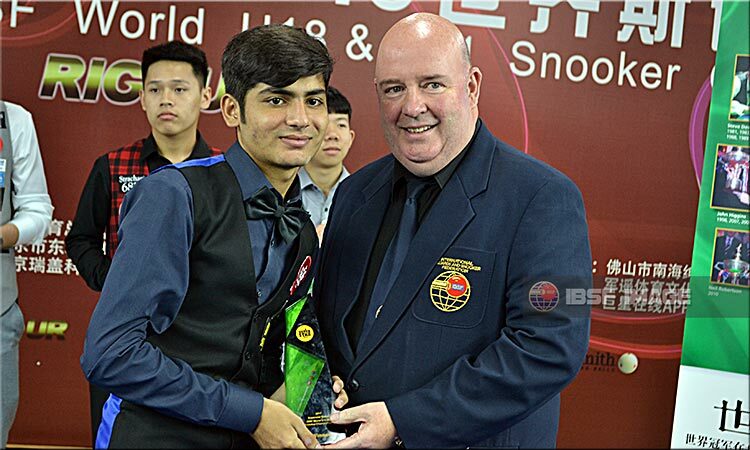 Muhammad Naseem Akhtar of Pakistan wins the 2017 IBSF World Under-18 Snooker Championship defeating Chinese boy Peifan Lei 5-3 in the final. It is a commendable victory for Naseem as he was down 1-3 at one point of time but later he geared up his momentum and played very-very controlled game to recover from that trail and surpass all hurdles and become champion. Peifan had some chances in sixth and seventh frame, but tactical play from Naseem did not allow him to do anything further except being a mute spectator. In the final frame, Naseem had two small but effective breaks to confirm title for him. 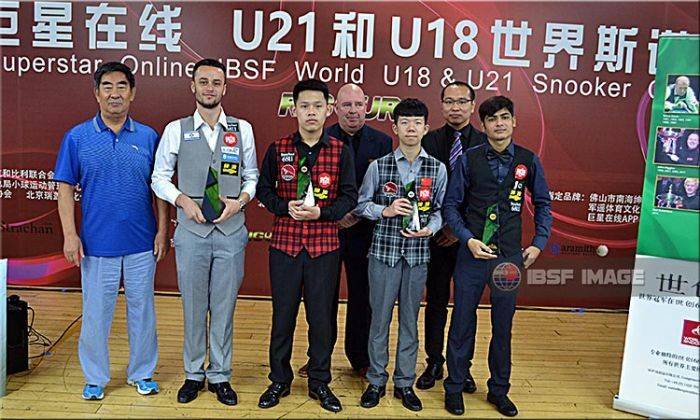 Before that, during morning session, Naseem blanked Amir Nardeia 4-nil and Peifan edged out his compatriot Junjie Bo 4-2. Hence Amir and Junjie shared joint bronze.